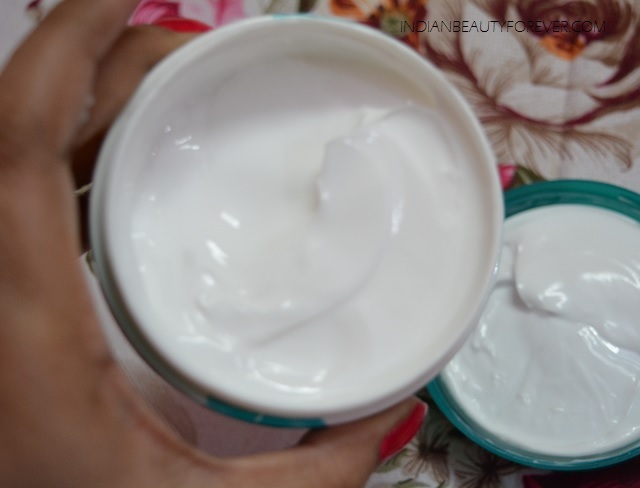 As I mentioned in my previous post that, I am using another cream occasionally to moisturize my skin and that it this Himalaya Nourishing Skin Cream. This is a face cream basically that’s is a light, non-greasy, daily-use cream, which claims to provides all day moisturizing, nourishment and protection. 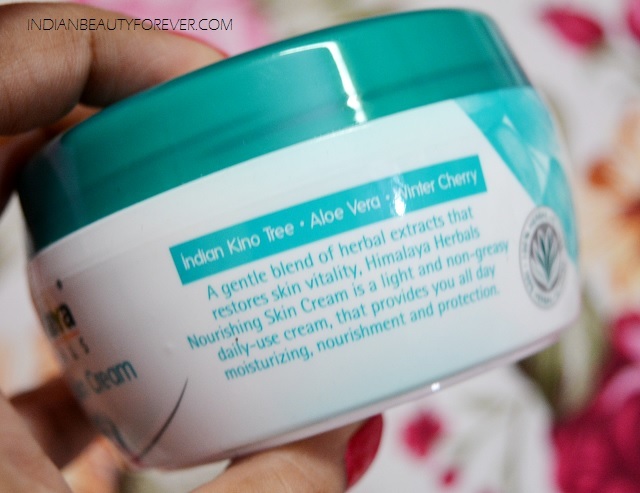 Claims: The cream is blended with the extracts of Aloe Vera, Winter Cherry, Indian Kino Tree and Indian Pennywort, which protect your skin from pollution and dry weather, providing nourishment and moisture. 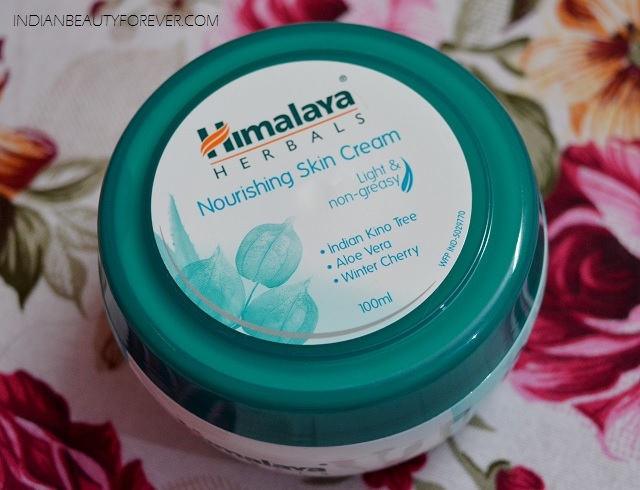 The cream comes in a white tub with a blue lid, which is the typical Himalaya herbals product packaging. This cream is very light weight and when I rub this on my hand, I can feel that the texture is gel like. The light weight texture is good for the oily skin too. 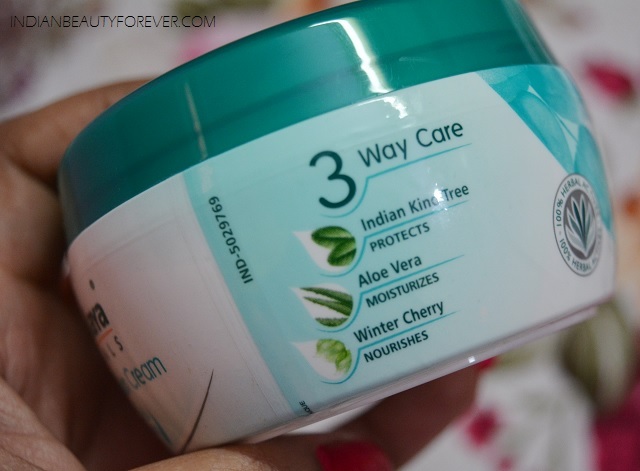 Do you remember the previous review that I did of the Himalaya Moisturizing winter cream. That cream was quite greasy and was for dry skin while this is for all the skin type but more suitable for oily normal skin types. The texture is light and non greasy and hence this will not leave sticky residue son the skin. In winters we oily skinned ones will need skin care cream that gives moisturization not no greasy please!! I do not use this on daily basis but I like to try it occasionally like when I need some massaging on the face. This is because I am using the Himalaya Revitalizing night cream for the night time. I think this is a decent cream for those who need adequate moisturization but without the stickiness. But at the same time this can be little not up to the mark for very dry facial skin. Else I find this to be quite good. sounds to be a good product..